Clare Callison is the Canine Lifesaving Advisor for American Pets Alive!’s Maddie’s® Lifesaving Academy. Before teaching the Austin No Kill Model to students, she was the Director of Operations for San Antonio Pets Alive! for five years where she managed the lifesaving teams including intake, medical, adoptions, transport, data, and the mass marketing of urgent dogs on the euthanasia list. 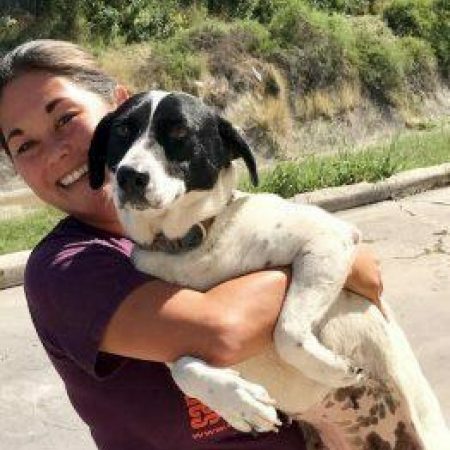 She helped develop the largest northern transport program in San Antonio which targets the most at risk population in the municipal shelter – large dogs. Clare helped build a placement team that markets over 8,400 dogs per year at the city shelter that are at immediate risk of euthanasia. Because of her heavy involvement, San Antonio has gone from a 28 percent save rate to 90 percent over three years. Clare enjoys helping others seek lifesaving solutions to common challenges that exist in working in a high-volume, fast-paced rescue environment.